So crazy in love! 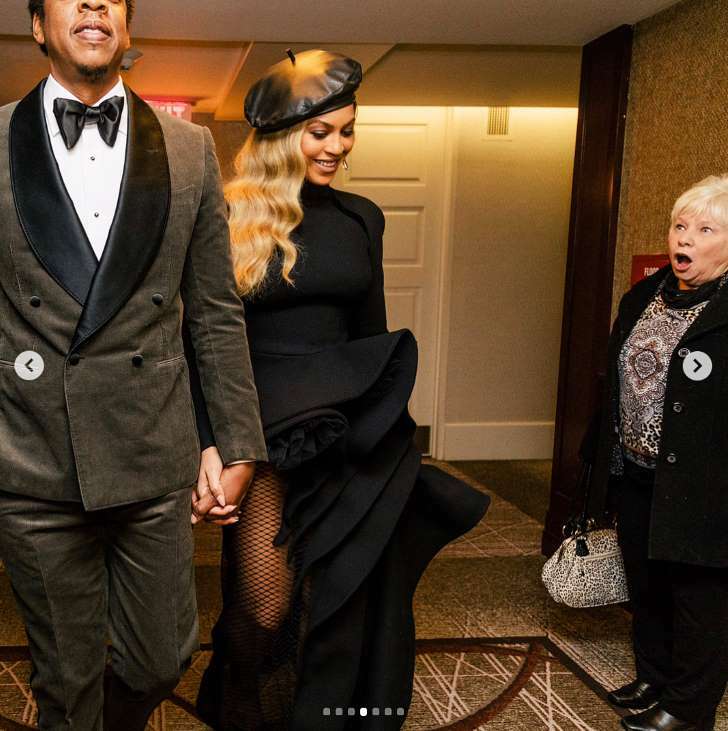 Susan Monaghan may have become the most talked about woman in the world after Beyonce smiled at her while en route to the Grammy Awards 2018 in New York City on Sunday, January 28. Grammys 2018 The “Sorry” songstress, 36, memorialized the moment when she posted a photo of Monaghan’s reaction via Instagram on Monday, January 29, which has received more than four million likes so far. “The Story of OJ” songster and the Dream Girls star brought their 6-year-old daughter, Blue Ivy Carter, to the annual event. The couple welcomed twins Rumi and Sir in June 2017.